October 3, 2013 Kathe Skinner, M.A., L.M.F.T. I was just reading the Screen Actors Guild’s 2005 study of how few representations of people with disabilities were scripted into tv shows — less than .5% even had speaking roles. Five years later, the Gay and Lesbian Alliance Against Defamation (GLAAD) noted essentially the same thing. 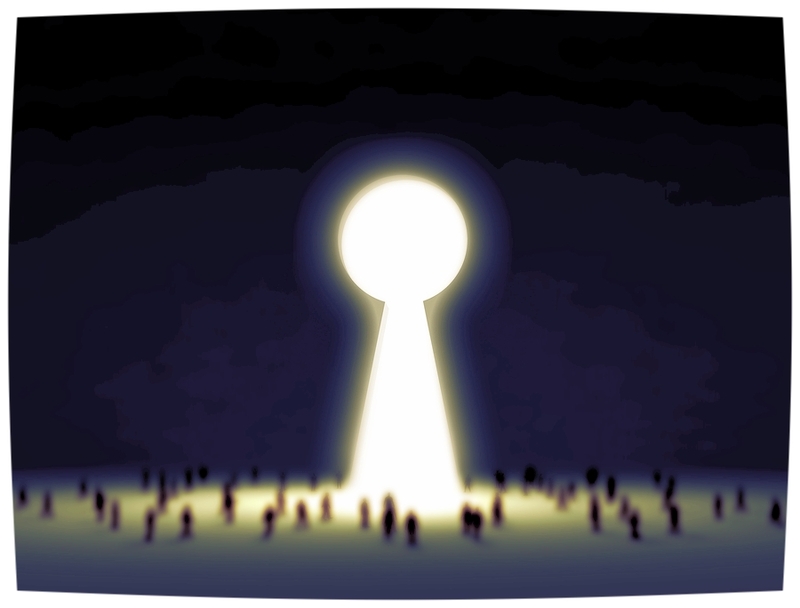 Using media to capture Americans’ attention (film, video, print, cyber) is well-suited to our short attention span and overall sense of unreality about the really real world, where visible or invisible disability can be turned off, deleted, or disregarded. Where we communicate about disability on-line rather than in-person. How pitiful is it when we ride on the coattails of someone famous’ disability, metaphorically pointing at our chests, crying “me, too!”? Visible and invisible disabilities like Nelson Mandela’s cancer, Michael J. Fox’s and Linda Ronstadt’s Parkinson’s, Catherine Zeta Jones’ bipolar disorder, Ann Romney’s M.S., Glenn Campbell’s Alzheimer’s are all well-known and forgiven because they’re beautiful, charming, entertaining, or people dear to us in other ways. “Oh, how courageous they are,” we say, “and what a shame.” Even those of us who are disabled ourselves are sad for the afflicted-famous! Does someone famous earn more points for being disabled? Is it a bigger deal? And how come we feel bad for the misfortune of people who usually have the means by which to be disabled more comfortably than we ourselves have? I’m not looking for pity, just parity. 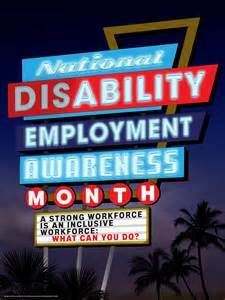 As in years past, President Obama again established October as National Disability Employment Awareness Month. The spirit of it is lofty and touching. But business generally runs on what’s concrete, not what’s moral. Even more to the point, it can be expensive to hire disabled workers: accommodating to special needs isn’t cheap (widening doorways, re-designing rest rooms, installing elevators, etc.) and unless the federal government is handing out money or tax incentives to businesses, hiring the disabled isn’t good business. Furthermore, if businesses have to be induced by other than moral means to hire this population, it’s like asking a restaurant to serve a customer gratis, just because he’s hungry. Won’t happen, nor should it. The fact is that the people who do the hiring are just people, members of a society that has difficulty having the disabled around in the first place. Employers are no less prejudicial about disability than they are about age, gender, national origin, or sexual preference. It’s perplexing that the morality play of the President’s proclamation would be presented in an economic climate like that which exists in the world today, where corporations like Siemens lay off 15,000 workers at a swipe. I suppose none of them were disabled. It’s insulting that the plight of the disabled worker should be highlighted when they are only part of the millions of other Americans who are hungry for work, If inclusion is sought, singling out any one portion of the population defeats the stated purpose. The proclamation belongs in The Truman Show, where it’s always sunny, there are never problems, and life is always fair. Happily deluded. Kathe Skinner is a Colorado-based Marriage & Family Therapist and Relationship Coach specializing in work with couples, especially those whose relationship is affected by invisible disability. She is in private practice where she can arrange her environment to meet her continually changing physical needs. She has been diagnosed with multiple sclerosis for over 35 years.